New years are exciting times when we give ourselves the gift of starting fresh, whether it's with resolutions to improve our health and outlook, or simply to leave behind disappointments and focus on the future. 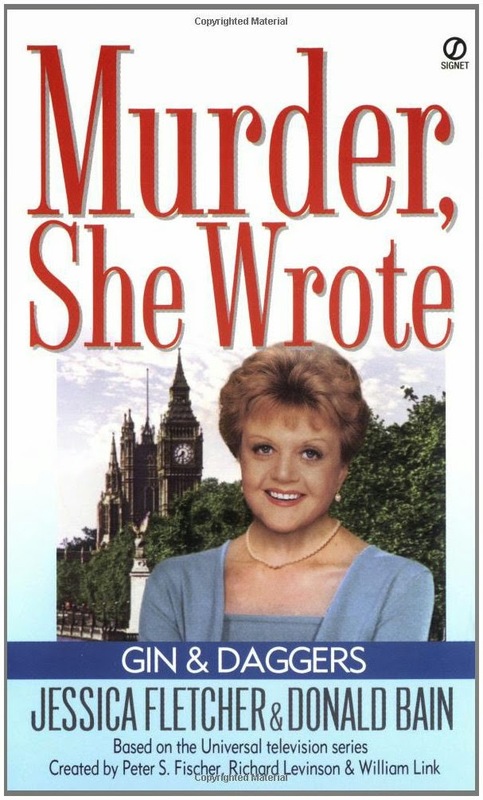 We thought it might be fun to start at the beginning of the "Murder, She Wrote" series, and to tell you a little about my adventure, chronicled in the very first book, titled Gin & Daggers. It takes place in London, one of my favorite cities in the world. I had been invited to address the International Society of Mystery Writers, meeting at the country home of my old friend Marjorie Ainsworth, one of the world's most famous and successful writers. With a houseful of mystery writers, you will not be surprised to learn that when a murder takes place, there's quite a bit of competition to solve the crime. In my own efforts to determine the truth, I meet with an assortment of characters, both lofty and low, and among them a debonair Scotland Yard Inspector who takes more than a professional interest in yours truly. 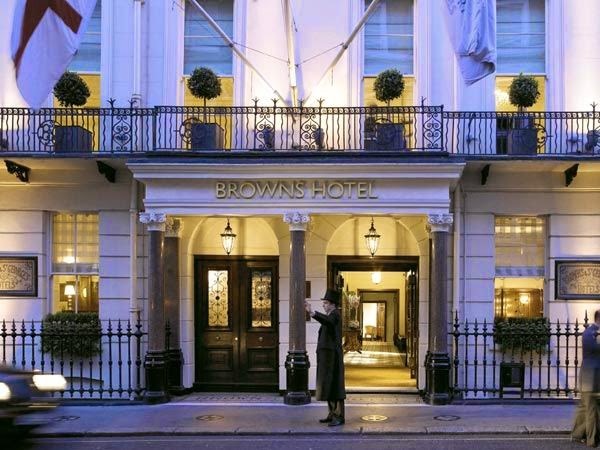 Here's what went through my mind after we had tea together at the venerable Brown's Hotel, still a London must-visit for a taste of classic English hospitality. We stood on the pretty street in front of Brown's Hotel. He took my hand in both of his and said, "Thank you for a most pleasant afternoon, Mrs. Fletcher. You'll be hearing from me soon." We looked at each other and waited for the other to make a move in the opposite direction. I believe he did so out of a sense of chivalry; the awkward situation demanded it. I watched him walk away, and was struck by his gait. Some people walk with confidence and purpose; others amble which belies their basic modest nature. He certainly fell into the latter category. He looked back once; I waved, then turned and walked in the opposite direction until rounding the corner. It wasn't until I had returned to the Savoy and had settled in an easy chair near the window that the warm feelings I'd experienced since leaving Brown's were pushed aside by a sudden recognition that I might have had tea with an extremely skilled interrogator. Had he found me as attractive as I perceived, or was it his way, was it his technique of drawing me into his confidence? A recent article in the newspaper said most people drop their New Year's Resolutions by January 15th. Did you make any resolutions this year? If so, how are you doing with yours? I just enjoyed some English mysteries on TCM movie channel. Thanks, Jessica, for the introduction to your adventures in London at the start of this engrossing series. I resolved to not stress over resolutions and to stay happy. So far so good with that! I enjoyed Gin & Daggers, as I have all of your adventures. A little behind but catching up. Jessica, I just saw your alter-ego the marvelous Angela Lansbury in San Francisco in Blithe Spirit. Absolutely wonderful! We agree with Elaine. No New Year's Resolutions for us. (We never kept them anyway.) Lorraine, London is our favorite city, and it and its outskirts appear several times in the series. Thanks for stopping by Grandma. Please keep reading. Isn't Angela Lansbury the best!